After Chennai and Hyderabad, IT workers’ union FITE has now decided to approach the labour commission in Bengaluru to submit a petition to stop the alleged “illegal terminations” happening at Cognizant. Forum for IT Employees, or FITE, is a representative body of employees working in IT companies and call centres. The body has already approached labour commissions in Chennai and Hyderabad, alleging that the US-based firm is illegally terminating thousands of employees by forcing them to resign. “We are all set to approach the labour commission in Bengaluru to submit a petition to stop illegal terminations happening in Cognizant,” FITE Vice President Vasumathi told PTI. FITE also plans to approach labour commissions in Kolkata and Pune. Cognizant had rolled out a voluntary separation programme for directors, associate VPs and senior VPs, offering them 6-9 months of salary. While Cognizant maintains that performance reviews are done to ensure that it has the right employee skill sets, FITE is alleging that the highly-paid experienced professionals are being replaced by those with lesser experience and lower pay. Indian IT players including Infosys and Wipro have initiated performance reviews, a move that could see thousands of workers being shown the door. While IT companies have been one of the largest recruiters in the country, increasing automation of processes is expected to lead to reduction in hiring in coming years. Vasumathi said that depending on the outcome of conciliation meetings, a decision would be taken on whether or not to approach the court to solve the vexed issue. She said FITE plans to hold a protest rally in Bengaluru, for which she is galvanising support from affected employees through social media platforms like Twitter and Facebook. Karnataka IT Minister Priyank Kharge had earlier asked the affected IT employees to lodge a complaint with the labour department. In an interview with PTI recently, Kharge had said the government would look into the matter and provide legal assistance if the affected or laid off employees approached it like their counterparts had in Tamil Nadu. The labour commissions approached so far, have promised to take action, Vasumathi claimed. 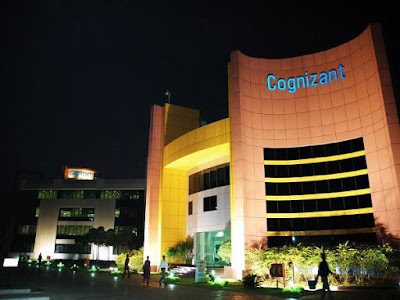 After the Hyderabad meeting on May 11, Cognizant had sought two weeks’ time from the Telangana labour department to come up with a reply on the said issue. Vasumathi alleged that there is no transparency in the hiring and appraisal activities of the IT industry. “IT firms must be asked to submit white papers on these processes to the government and to the public periodically,” she said demanding that a tribunal be set up for knowledge-based industries.